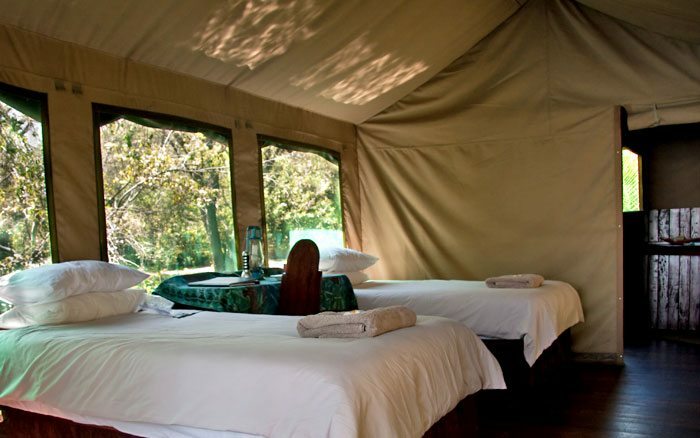 Xaro Lodge consists of 8 guest tents and a central dining area, bar and campfire. It’s reached by boat from its parent camp, Drotsky’s Cabins, a journey of 15 minutes. 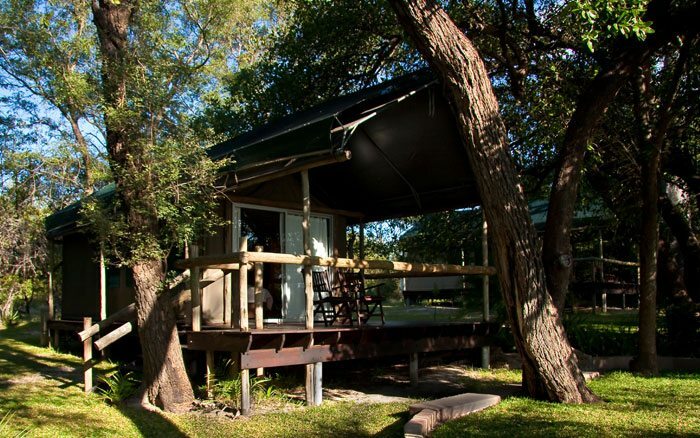 Xaro Lodge consists of 8 guest tents and a central dining area, bar and campfire. It’s reached by boat from its parent camp, Drotsky’s Cabins, a journey of 15 minutes. The walk-in tents are roomy and light with large insect-screened windows, with flaps that can be lowered at night. They’re set on wooden decks beneath shade trees, reached by a short flight of steps from the ground. Interiors are equipped with comfy beds and rustic furniture. Glass doors open onto a private river-facing deck where there are chairs and you can sit and contemplate views down to the river. The wood-panelled bathroom has a hand basin, toilet and shower. During the day you can spend time getting to know other guests in the lounge, sipping a chilled drink in the well-stocked bar and savouring the plentiful home-cooked food. There’s a pool for refreshing swims, the ideal way to cool down in the day, and a campfire where sundowners are enjoyed each evening. 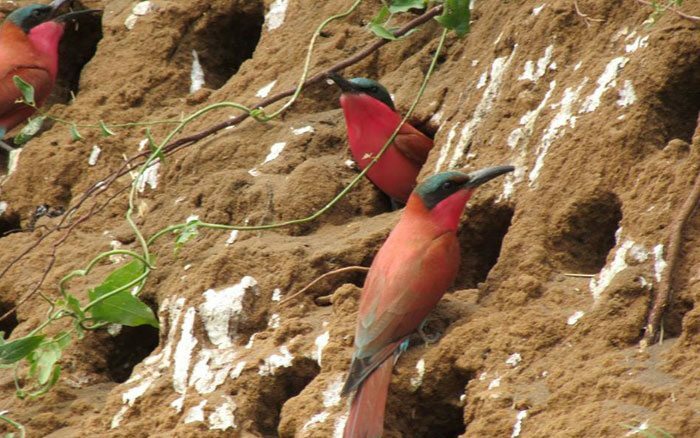 You’ll be offered boat trips with a local guide, spotting marine life and birds as you travel. 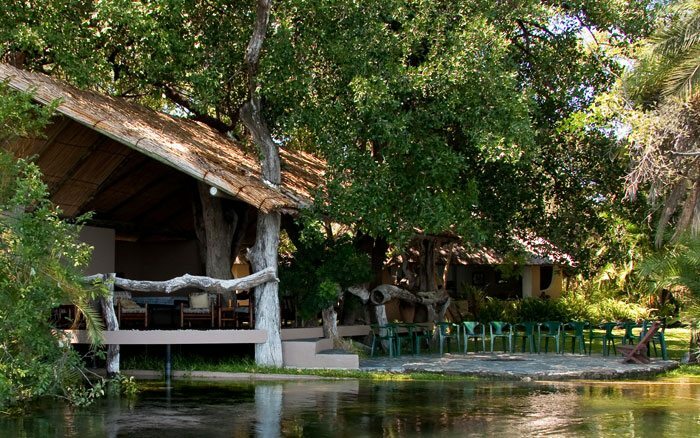 The lodge also arranged fishing trips and has fishing equipment available to hire as you in search of the 17 species of fish found here including tigerfish, barbel and bream . There are several walking trails near the lodge which you can follow with a birding guide as you look out for skimmers, carmines, herons, egrets and kingfishers. If you’re lucky you may also see Pel’s fishing owl. The lodge can arrange visits to Tsodilo Hills, known for its fine examples of San Bushman rock art. Children aged 13 years and over are welcome. 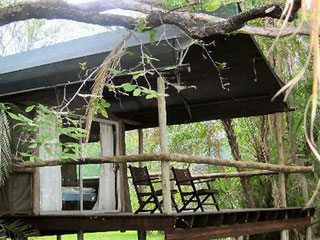 Rooms are simple, walk-in tents, providing comfortable and unfussy accommodation, with en-suite facilities and private, river-facing decks.